Linde Material Handling has launched three new rising cab order pickers, improving picking performance from ground level up to heights of 6.35 metres. The N20Vi and V08 order pickers are targeted at applications that require picking at floor level and up to 2.8 metres from the ground. The new V10 offers picking heights between 2.8 and 6.35 metres. "As consumers demand more choice, warehouses need a greater variety of stock. Rising cab order pickers are thus becoming increasingly important as the increased number of picking locations requires picking for higher racking levels," says Andrew Daly, sales & marketing director, Linde Material Handling. 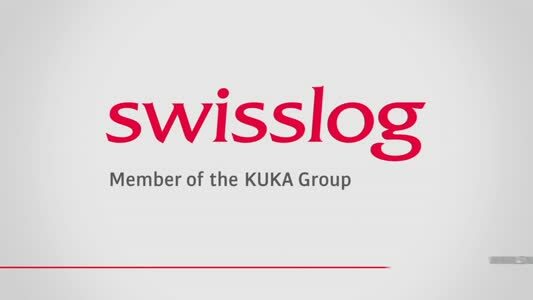 "We continue to develop our products to help our customers improve productivity and efficiency as well as react to new operational requirements." 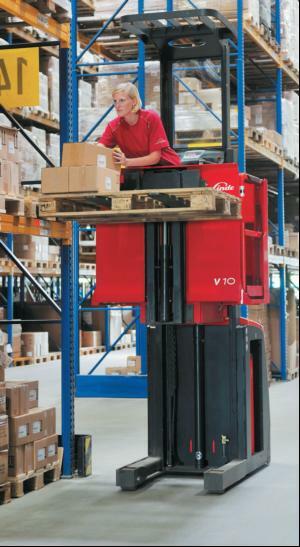 The new V10 is designed for loads of up to one tonne and lift heights of up to 5.3 metres. This corresponds to a picking height of 6.35 metres - a height said to be previously unattainable in this class. Linde continues to offer its successful V11 and V12 high level order pickers designed for high and/or intensive applications up to 11 metres. Linde has developed a modular concept which allows the V10 to be tailored to meet individual customer requirements. For instance, there is a choice of three lifting performances to offer different levels of productivity. The overall lift height and chassis width can also be customised. For example, chassis widths of 790mm or 980mm are available. The 790mm width is ideal for block stacking of euro-pallets while the wider chassis suits the common UK pool pallet. The Linde N20Vi, is designed for frequent first and occasional second level order picking. For second level picking, the operator's platform elevates, so the truck has a clever shelf to temporarily deposit picked loads until the platform is lowered. The V08 is designed for frequent first and second level picking hence the forks rise together with the operator's platform. This allows a V08 operator to put picked cases directly onto the pallet when picking above ground level. Mr Daly explains: "This is important not only to provide access to different picking zones, but also to successfully master different picking tasks." Both the N20Vi and the V08 allow the pallet to be raised and lowered to obtain the ideal ergonomic height for the picker. The development engineers at Linde Material Handling placed a major focus on ergonomics when redesigning these order pickers. For example, the N20Vi and the V08, have increased leg room and a greater level of safety when picking and sorting goods. The platform sides on these trucks have slightly sloping edges. These provide feedback to the operator as he approaches them, helping him retain a secure footing and making work both quicker and safer. The floor of the operator's compartments are also covered by a cushioned mat whose structure effectively absorbs vibration caused by unevenness of the ground, thereby reducing operator fatigue. As with all Linde products, safety is a key priority. In the V10, touch sensors that ensure two-handed operation, are integrated into the control console. This prevents the operation of the truck with one hand outside the protected footprint of the chassis avoiding injury from racking, loads or other trucks. Traction speed is automatically adjusted to suit the steering angle, maintaining stability and increasing operating safety, reducing the risk of operator's misjudgment. These models have controls, such as the Linde twin grip steering control, which have already been tried and tested on other Linde warehouse trucks. The ease of operation this offers increases operator safety while aiding optimum performance. All control buttons are also within easy reach of the operator. Linde has yet again raised the bar for ergonomics, safety and performance in the Order Picking field, helping customers to improve their performance.